Saunas, as it turns out, are much more than just a relaxing way to end the day or your workout. A sauna is really nothing more than a hot, dry room that promotes sweating in a relaxed state, but there are some benefits to sitting in a sauna that many people don’t know about. While the true medical impact of using a sauna has yet to be fully explored by the scientific community, a fair amount of initial research shows that saunas have a number of positive effects on the body. When you sit in a hot sauna, your body will absorb heat through the skin. However, your body also wants to remain within its safe temperature zone, so to counteract the absorbed heat, the skin will begin to sweat. Sweating is the natural mechanism to reduce body heat, and your heart has to pump blood from the interior of your body to the skin as a way to drive heat away from vital organs. This means your heart has to work harder in a hotter environment even if you aren’t exerting yourself. This can cause an eventual lowering of your blood pressure since cell oxygenation levels will be quite high. Since your body is working harder than usual to maintain its core body temperature inside a sauna, it will also lower your blood sugar level. In this way, the heat from the sauna actually replicates strenuous activity related to exercise. Some studies have shown that exercise alone could be an efficient treatment for Type 2 Diabetes, and using the sauna is a good substitute for a fully strenuous exercise regimen. Of course, a fully comprehensive health plan will almost always include some regular exercise whether or not regular sauna time is included as well. Many people who use a sauna claim that they can feel their stress melting away after just a few minutes inside. This is due to the way the heat loosens your body and promotes full relaxation. 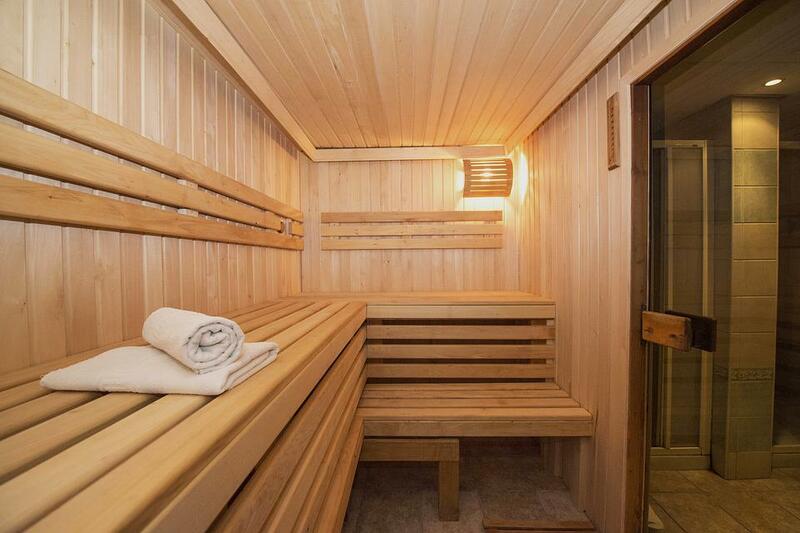 Both mental and physical stress can be greatly alleviated with the help of a sauna. While the physical effects might only be temporary and require the frequent use of a sauna to combat them, the mental effects will most likely remain indefinitely since you’ll now know the perfect way to handle your stress. Just about everyone in the modern world suffers from some form of stress, but a sauna can greatly reduce those troubles. Saunas are good for your body in general for several reasons, including that they reduce swelling, relax muscles, and improve blood flow. Many people who suffer from muscular or skeletal conditions can benefit from the relaxing and soothing heat of a sauna, and it is also an effective treatment for joint-related pain like arthritis. While the relief from these aches and pains might be temporary, they would certainly be preferable to no relief at all. Many doctors feel that frequent and continued use of a sauna could help with permanently treating some of these conditions, and saunas can be used by anyone of any age. Anyone who suffers from poor sleep could benefit from a nice, relaxing session in the sauna right before bed. The heat from the sauna works to relax your body and prepare it for sleep. In many instances, your body will refuse to relax and fall asleep if it is too cold, so a hot sauna is more than adequate to prevent that. Just be careful that you don’t accidentally fall asleep inside the sauna. In fact, it’s a good idea to limit your sauna sessions to about 20 minutes at most. Once you leave the sauna, try to cool down as gradually as possible and as little as possible before sleep. As with anything that drastically changes an aspect of your body, a sauna is something that you should only consider if you are already healthy enough to withstand such changes in body temperature. Most people probably fall into this category, though, so if you are in that group, feel free to responsibly enjoy the benefits of a sauna as much as you like.